How to download iPhone voice memos? Home » How to download iPhone voice memos? Run CopyTrans. 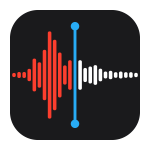 Connect your iPhone, iPad, or iPod Touch that has the voice memos you wish to back up. 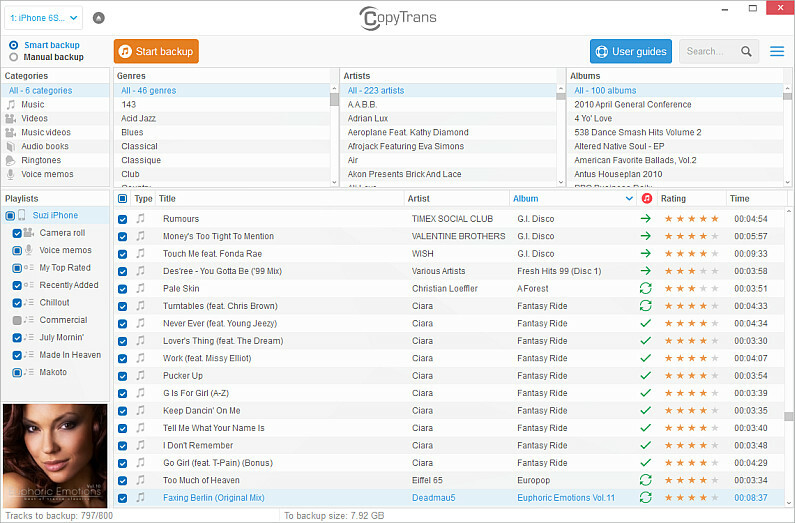 CopyTrans displays the iDevice tracks and playlists almost immediately. To get voice memos from iPhone click “Manual backup” at the top left. Select the voice memos you wish to back up by ticking the box next to each recording. To select all tracks at once, check the box on top of the list. 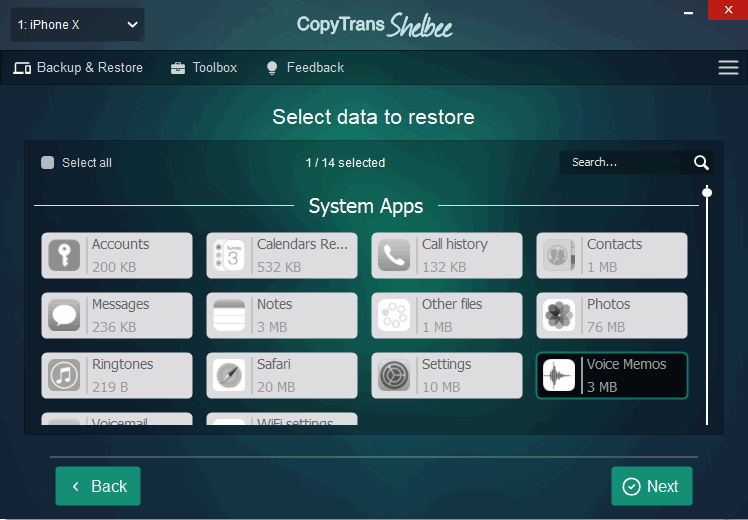 Finally, click the “Folder” button to transfer voice memos to computer. 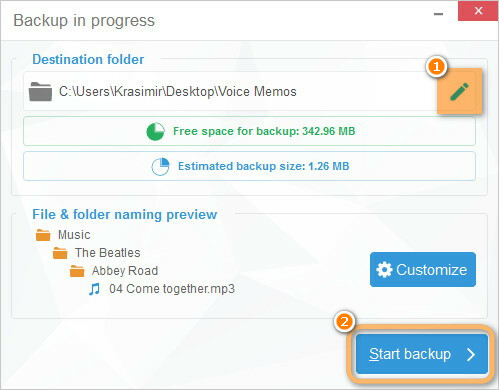 Browse to the PC folder where you wish to transfer the voice recordings and click “Start backup”. In this case, we selected the PC Desktop as the destination. The iPhone memos are now transferred to a folder called “Voice memos” at the destination of your choice. The recordings are backed up in regular individual audio files. Make sure that iTunes is not running and plug in the iPhone. Open CopyTrans. Click “Voice memos” from the “Playlists” pane on the left. 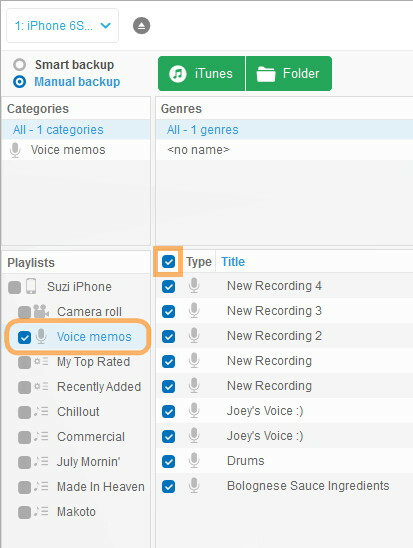 Select the voice memos you wish to back up by checking the box next to each recording. To select all voice memos at once, just check the box on top of the list. Click “Manual backup” from the top of the main program window. And just next to it, click on on the “iTunes” button to sync voice memos with iTunes. Wait until the process is finished and enjoy your voice memos in your iTunes. In the main window in CopyTrans Shelbee select Custom Restore. Click on the pencil icon to select the backup where you store your voice memos. When done, click Next. From the list of apps, select Voice Memos. Confirm the information and when ready click next. NOTE: Please note that the data you selected will overwrite the existing data on your device. 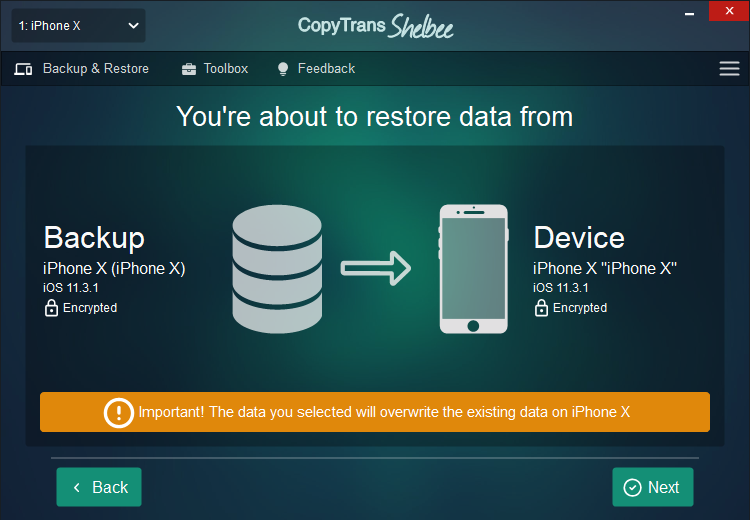 So if you have voice memos that are not in this backup, we advise to back them up with CopyTrans as explained in the methods above. Wait for the restore to finish. Your device might restart a few times. After it’s done, enjoy your voice memos! Hope you were able to get voice memos from iPhone! If you need help or have other tips – just leave a comment below.